Some call it "exposed beam" construction, others call it "post and beam"
Over the centuries it has accumulated many names. Spanning across multiple continents and time periods, the building technique has been used in cultures and societies from ancient Japan and medieval Europe to modern day America. 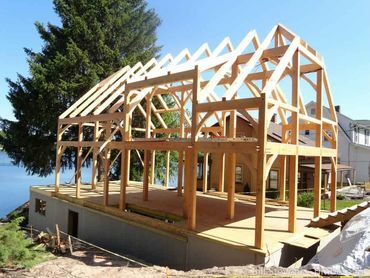 Timber framing is a building style which incorporates the large wooden structural beams which hold a house up, into the design elements of the interior. These exposed beams add a warm, natural feel that has had a broad, timeless appeal. Traditionally the posts and beams are joined using wooden pegs. Much like a giant three dimensional jigsaw puzzle, the horizontal and vertical timbers fit together to form snug and solid joints. We have chosen to partner with Timberpeg® as Independent Representatives for several reasons. First, the quality of the Timberpeg® product is legendary. Their frames are cut with extreme precision with the help of state of the art computer controlled machines. This means the frame not only fits together perfectly, but it means less wood is wasted during the process. 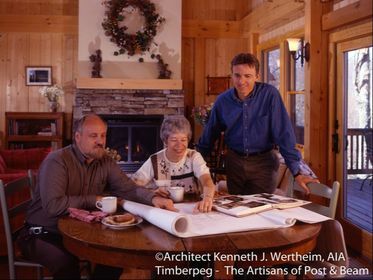 Also, a variety of their home package components including Douglas fir or eastern white pine frames, are available with FSC® (Forest Stewardship Council) certifications. 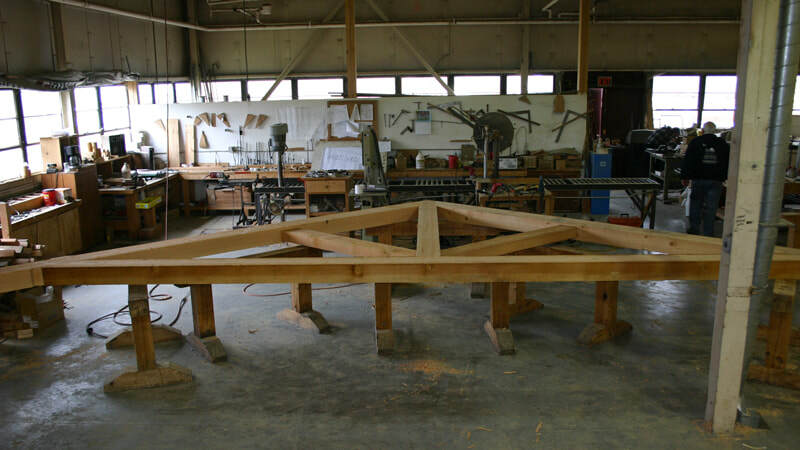 This means the wood for the frame has come from well managed forests. 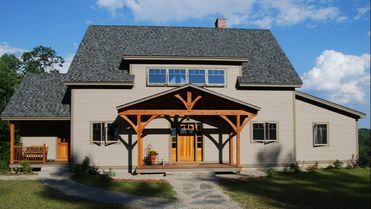 In addition to the responsible sourcing of the wood and the reduction of waste provided by off site manufacturing, Timberpeg® homes also provide you with superior energy efficiency (an important quality for homes in New England). In fact numerous Timberpeg® homes have received the highest Energy Star® rating possible: five stars. 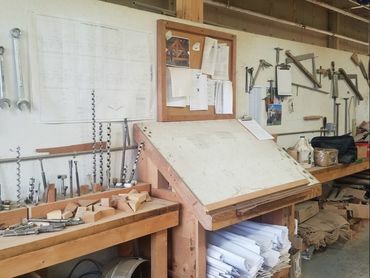 So if you are interested in the classic look of timber framing and also need a home with energy-efficiency we hope you'll contact us to find out more. 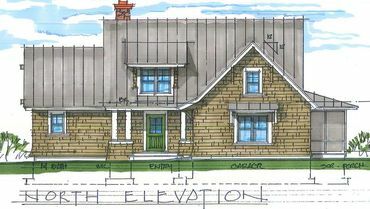 While every timber frame home is customized for each client, the standard package materials are consistent. 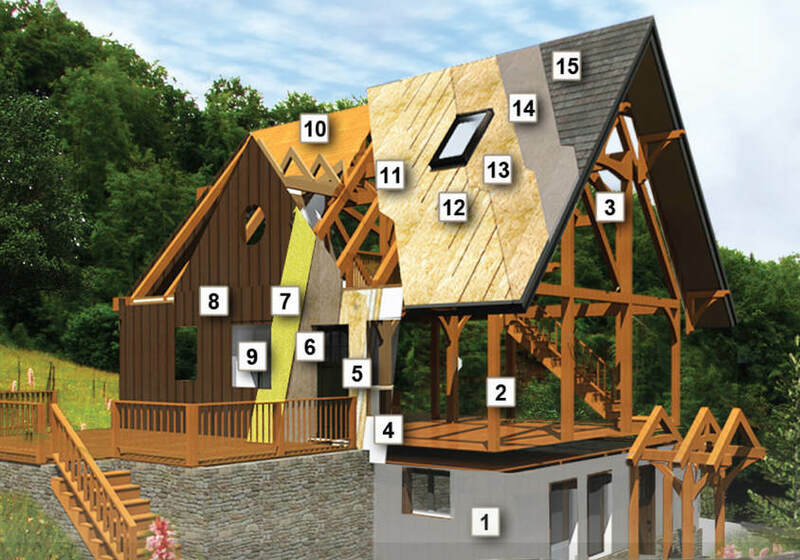 Options can be added, and components can be tailored to match the needs and desires of a customer, but this is our list of standard timber frame home package materials.